Tracy is the office manager at Oceanside Animal Hospital. A Cape Cod native and graduate of Barnstable High School, Tracy was originally inspired to study animals in their natural environment. In high school she participated in ecology classes and field research trips to Sandy Neck Beach. She then went on to earn her BA in Biological Science and English from Simmons College in Boston where she also worked as a research intern for four years at Harvard School of Public Health. After briefly studying evolutionary biology on a graduate level at George Washington University, she became a stay-at-home mother for her two spirited daughters. In 2007 she became a licensed Realtor and has worked in real estate transaction and office management since. Having transitioned into veterinary medicine 4 years ago, Tracy is excited to be combining her passion for animals with the business and marketing experience she has gained working in real estate. 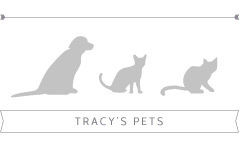 In addition to her children, Tracy’s household includes two adopted cats -Sunny and Ginger- as well as a Duck Tolling Retriever named Max that she recently rescued from Texas. 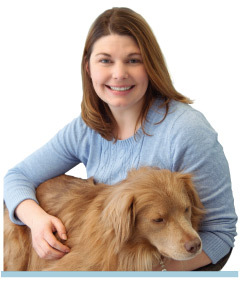 Client communication is an area of veterinary medicine that Tracy particularly enjoys. She loves educating clients about the different ways their pets enrich their lives, and how Oceanside Animal Hospital can provide them with the very best care.